If you know frizz like Liza Herz knows frizz, you need to know that while hair oil is nice, silicone is your true frizz-fighting friend. 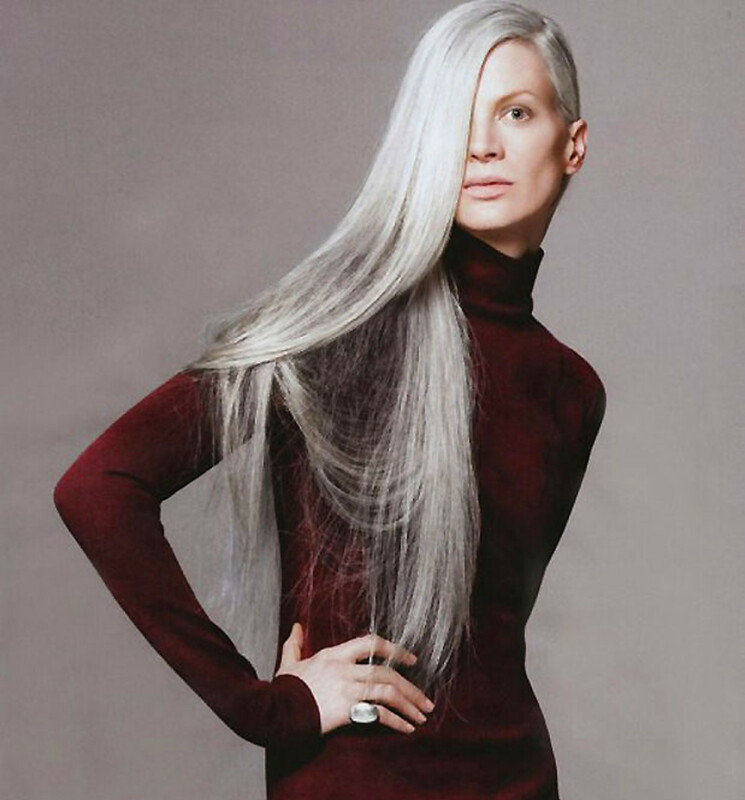 Supermodel Kristen Mcmenamy with sleek silver locks. 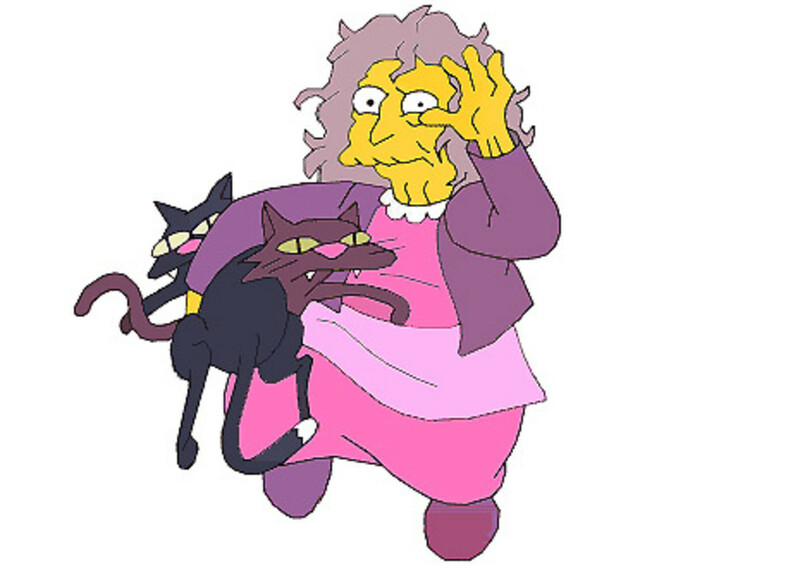 Crazy Cat Lady with in-no-way-sleek grey frizzle. Grey hair is frizzy All. The. Time. 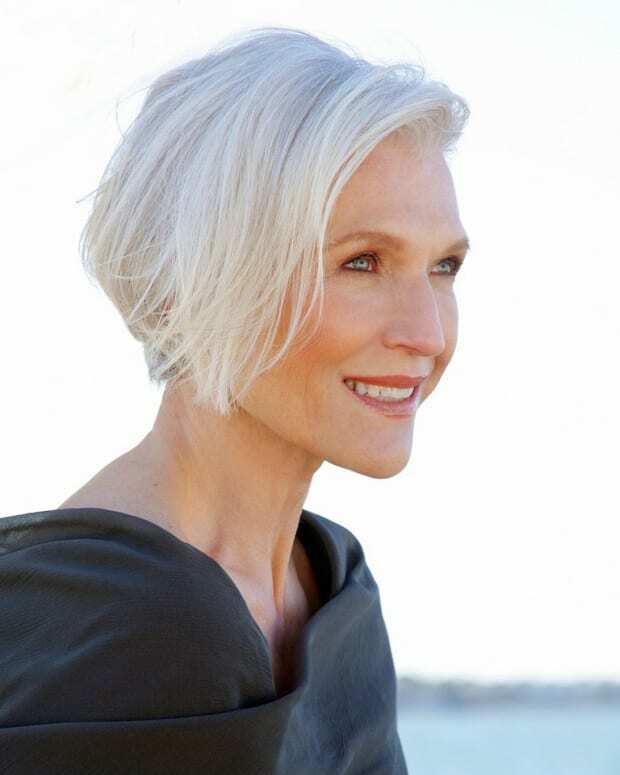 Grey hair is porous, wiry and ready to frizz up at the slightest hint of moisture in the air. I live the ultimate worst-case bad hair day, every day. 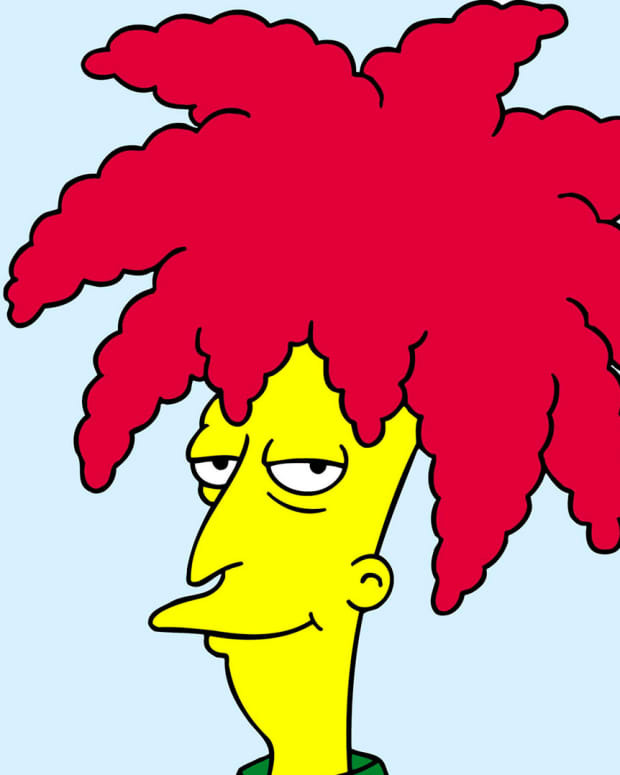 So if a smoothing product works for me, it will definitely tame your non-crazy-cat-lady hair. Grey frizz is two kinds of sad. One, it&apos;s weak and brittle. The inner cortex needs nourishment and moisture for flexibility and resilience against breakage. Two, the cuticle, the hair surface that, under a microscope, looks like so many wee scales, refuses to lie flat. Deep conditioning penetrates to the hair&apos;s interior to strengthen it, and in a small way saves wear and tear on the cuticle. But intensive moisturizing does very little for the hair&apos;s exterior. What really kills frizz dead is silicone – its large particle size smoothes over the hair shaft, making the cuticle lie down obediently so it properly reflects light and looks all glossy and beautifully shiny. Here&apos;s where it gets tricky. 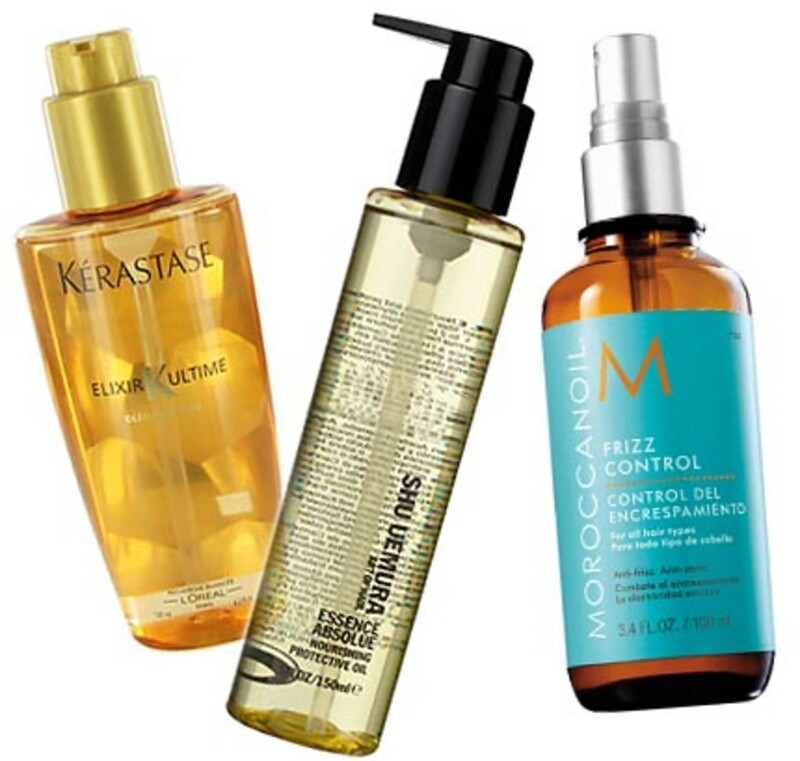 Many anti-frizz formulas contain natural oils as well as silicones. But brands prefer to focus on oils and skip the mention of silicones. Understandable, because nutrient-rich argan oil, for instance, is a much sexier ingredient than something inert, cooked up in a lab. But are such oils just there for show? Can natural oils penetrate hair when larger-particle silicone is in the mix? "Silicones are in formulas in the form of an emulsion; they do not immediately form a barrier on hair," explains Left Brain. "In fact, they never actually form a complete barrier on hair so oils can penetrate whether there is silicone in the formula or not." Aha. Oils can penetrate even when they&apos;re in a hair-smoothing silicone soup. When it comes to just conditioning dry hair, however, Left Brain separates oil from silicone: "If you want to ensure that you are getting the most effect from an oil in a hair product, stick to conditioners," he says. "And you should look for a product that has the oil listed near the top of the ingredient listing and is devoid of things like silicones, quats (e.g. cetrimonium chloride, stearalkonium chloride, behenmetholsulfate) and cationic polymers (guar hydroxypropyltrimonium chloride)." Bottom line: You want conditioning? Go for oil, which penetrates hair to strengthen the cortex and lock in moisture. But for stellar frizz control, get thee to a silicone to make the cuticle lie flat. Of course too much silicone and you risk greasy-looking, lank hair that sticks to your head in a way that suggests you do not own a mirror. But luckily the newest generation of silicones are no longer stubbornly heavy, so they won&apos;t build up over time to weigh hair down. • Kerastase Elixir Ultime ($50) -- hands-down winner for best fragrance. A little goes a long way, so don&apos;t be dissuaded by the semi-high ticket price. • Shu Uemura Essence Absolue ($68) -- hairstylists are all a-swoon about this Japanese cult line and the colossal bottle pretty much guarantees you&apos;ll never run out. • Moroccanoil Frizz Control ($25) -- a lightweight version of the grand-daddy of them all. Comes with a spray, but spray into your hands and smooth over hair. You can always add more, but never less. • L&apos;Oréal Paris Nutri-Sleek Smoothing Cream Care ($9) -- a conditioner to apply to wet hair after you shampoo. For extra unruly hair, follow with a serum. 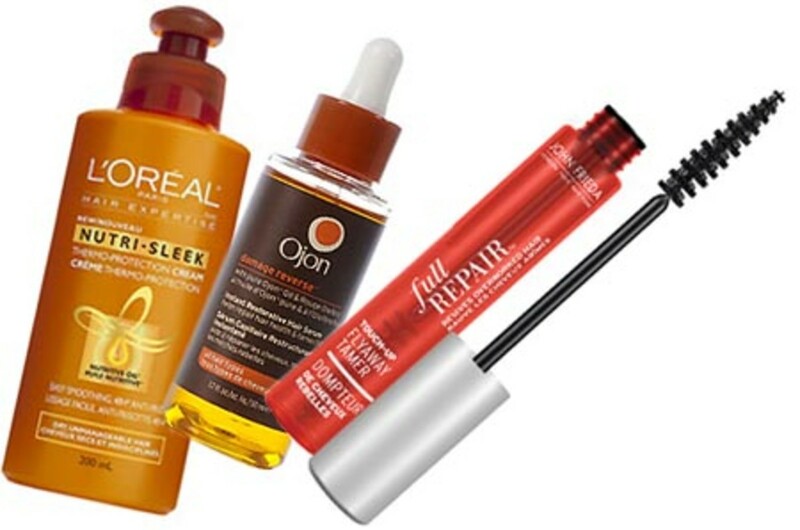 • Ojon Instant Restorative Hair Serum ($28) -- lightweight, and the eyedropper dispenser means you&apos;ll never apply too much. And finally, if you run out the door each morning in a befrizzed state, the oversized mascara-wand applicator of John Frieda Full Repair Touch-Up FlyAway Tamer ($12) lets you brush down unruly hair easily and instantly. Touch-Up FlyAway Tamer is one of my must-haves. Another beauty editor loved it so much, she told John Frieda stylist Alain Larivée that she wished it came with a paint-roller sized applicator. Cool, but that would mean a new problem: how could I possibly fit it into my purse?